This handmade champagne bucket is a traditional design with a bubble base. 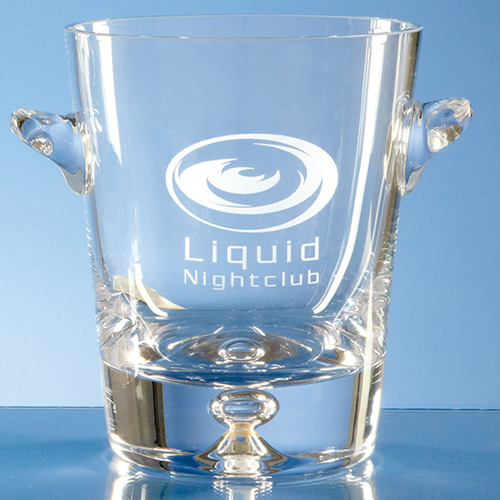 It has a large engraving area that can be personalised with any crset, logo or wording. Add a business logo for an ideal way to serve a chilled bottle of champagne at corporate events.